سواءً كنت مسافراً بغرض السياحة أو العمل, Gale Street Motel and Villas هو خيار عظيم للإقامة خلال زيارتك مارجريت ريفر واين ريجيون. يمكن من هنا للضيوف الاستمتاع بسهولة الوصول إلى كل ما تقدمه هذه المدينة النابضة بالحياة. بالنسبة لمن يريد الخروج، هذه بعض المعالم السياحية المتوفرة للزوار مرسى باسيلتون, نهر سابينا, مصب فاسي-ونرأب. استمتع بالخدمات الراقية والضيافة التي لا مثيل لها بهذا الفندق في مارجريت ريفر واين ريجيون. تتضمن الميزات الرئيسية في هذا الفندق: واي فاي مجاني في جميع الغرف, خدمة التنظيف يوميًا, تسجيل وصول/خروج سريع, تخزين الأمتعة, صف السيارات. تتضمن كل غرف النزلاء وسائل الراحة والتسلية المصممة خصيصاً لضمان الراحة القصوى للضيوف. كما أن مجموعة الخدمات الواسعة الموجودة في الفندق لضمان راحتك تترك لك الكثير من الخيارات لقضاء وقتك أثناء فترة إقامتك. استمتع بخدمات لا يعلى عليها وعنوان ذو اعتبار في Gale Street Motel and Villas . العقار لا يسمح بحجوزات حفلات نهاية السنة الدراسية. Two issues we had were that the fridge in Room 6 was REALLY noisy and kept us awake and the room was not dark enough, even with the shutters closed. The light outside the door shone through into the room. Wonderful 1 bedroom villa. located in the centre of town so you can walk everywhere if you want. The room was nice and clean and had all the facilities that you need for a few days. The staff are wonderful and friendly. Will be back again in the future. Room is spacious. But furniture and fixtures are dated. 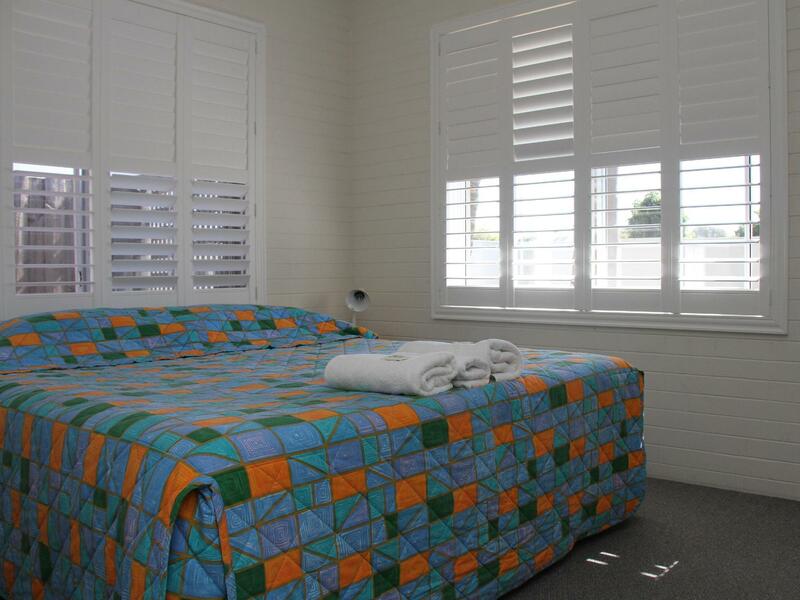 Great location which is within walking distance to the shops and to the beach. Carpet worn out and dirty which made the stay not so comfortable. Overall room set up is cold. However, friendly and helpful staffs did brighten up our stay. We like everything. Many thanks to Cherie for the orientation and assistance to book for whale watching tour. Cherie went the extra mile to make our stay easy & comfortable. Would definitely go back if we visit again! Thank you! It's a first for us stopping over at Busselton during all our trips to the South West. We had lots of fun in Busselton during the day and the villa just ends the night with a perfect 24 hours for us. You will have to be there in person as the photo did not do justice to the place. Besides having met the usual expectations of cleanliness, comfort, etc.. it has a friendly and helpful host. If we were asked to pick a weakness, has to say that it is short of a dryer. We were provided with a washing machine in the villa, with is a nice touch. However, it's June and we only stayed a night. We need to carry the wet clothes in the cold night to the laundry room outside of the villa to use the dryer. Great location, Helpful and friendly Staff, Free WiFi. My friend and I stay at the Gale Street Motel and Villas only for one night. It was great. The room was clean. the hotel owners were very nice, friendly and helpful. After we checked-out, she was nice to give us a lift to another hotel. Room was basic, with everything necessary needed! Including plates, microwave, kettle. I liked that the beds were comfortable, and the room was spacious. Felt safe, with key access to the facility after hours. My friends and I enjoyed our stay with Gale Street Motel! We really enjoyed out 4 night stay, would definitely stay here again. Absolutely love this motel. 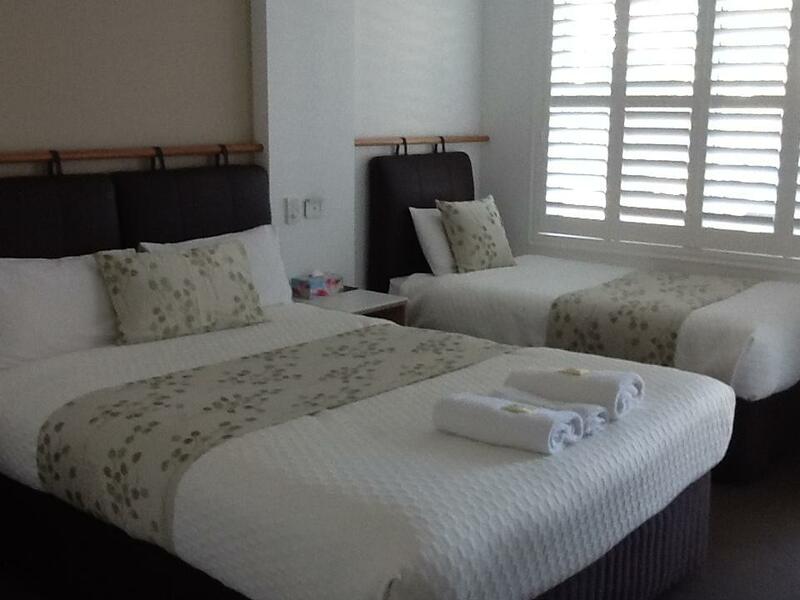 Cozy room, friendly owner and perfect base for me to explore Margaret River and other attractions in this region. Nice cozy accommodation like in a neighborhood. Near to the town area and very accessible to restaurants, cafes, and supermarket. Room is clean and comfortable. Come with a small kitchen. Just that the kettle seems a bit rusty. We drove in and was happy to see very clean and brightly lit room. The room may be a little small but nothing too much to complain about. There is even USB charging, and the taps are the modern kind (not the separate Hot and Cold turn taps). Kettle is clean, utensils are made available but they do not have a hotplate/stove. Very good location, with supermarkets and fast food options nearby. Will stay here again if I pop by Busselton! We were pleasantly surprised with the quality of this motel. So modern, clean and comfortable. 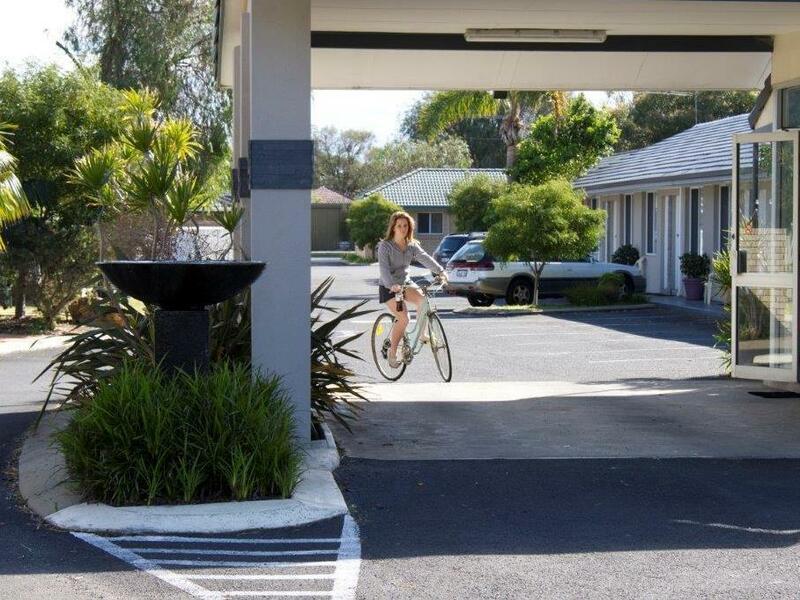 Perfectly situated near attractions and food outlets. We would certainly recommend this motel to other travellers. It was just an over night trip to Margaret River region and we stayed here and thoroughly enjoyed the stay. We will definitely stay here again. We actually had the front Villa (3) that faced the road & next to the reception area, it was quiet (apart from the local magpies warbling in the a.m) the bed was large and comfy , plenty of extra pillows, the shower nice and hot, and good TV reception, well equipped kitchen for those that stay longer than a night. There was also a fencer private courtyard out the side for those that have littlies. The receptionist/owner was very helpful & very polite. We have no hesitation in saying you must try this place! While nothing fancy, the motel room is clean and spacious. It has everything you can expect for the cost with even a small swimming pool and a bbq area just outside the room. if you prefer to buy, every type of fast food outlet is within walking distance. As already mentioned, also walking distance is the attractive Busselton ocean front, and the town center. The famous Busselton Jetty is just a little bit further to walk to. Overall, service was friendly, and we'd stay there again. 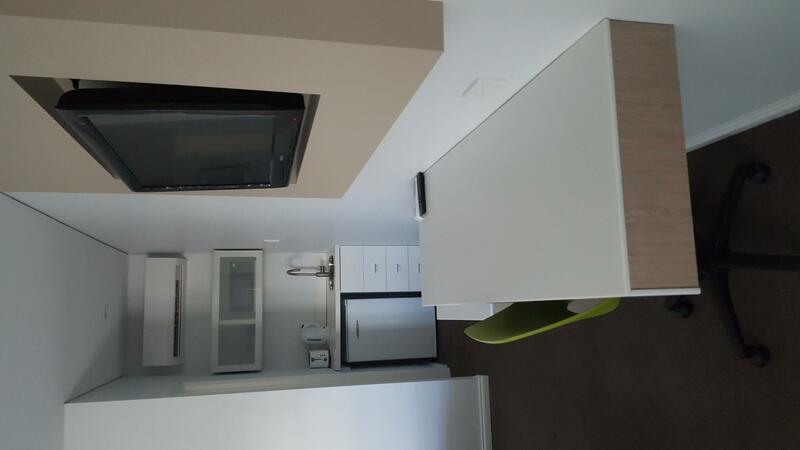 Walking distance to town centre and great facilities in the self contained apartment.